Drones inspire the imagination. What modern aircraft can do and what professional developments can be expected, read here. With the drones , the fascination of flying continues unabated. The remote-controlled flying objects replace expensive helicopter flights in film productions, discover building defects or monitor company premises. More and more private hobby pilots are added. The unmanned flying objects can also be controlled easily via smartphone or tablet. Thanks to the built-in camera, you can experience the flight directly, take pictures and show the pictures to other flight enthusiasts. The guide presents current models and their performance data. Fun brakes are often the relatively limited flight duration and the short range. Quadrocopters are the ultimate in hobby model aviators. Four rotors provide the necessary thrust. In between is the battery. The flying objects are controlled via a radio remote control. The simplest versions are available for about 50 euros. They are the size of a palm and weigh around 40 to 60 grams. It is simply about the fun of flying. Drones move in all directions, and some models can even loop. Some of them are equipped with LEDs. Your batteries are sufficient for about 7 to 9 minutes flight time. The next stage of the flight enjoyment are drones with integrated cameras. Even missiles in miniature photograph the area from above. The photos can be saved and viewed on the computer. Such drones cost about 100 euros and sometimes record the videos in HD quality. If a live broadcast is added to the remote’s display, it’s more expensive. 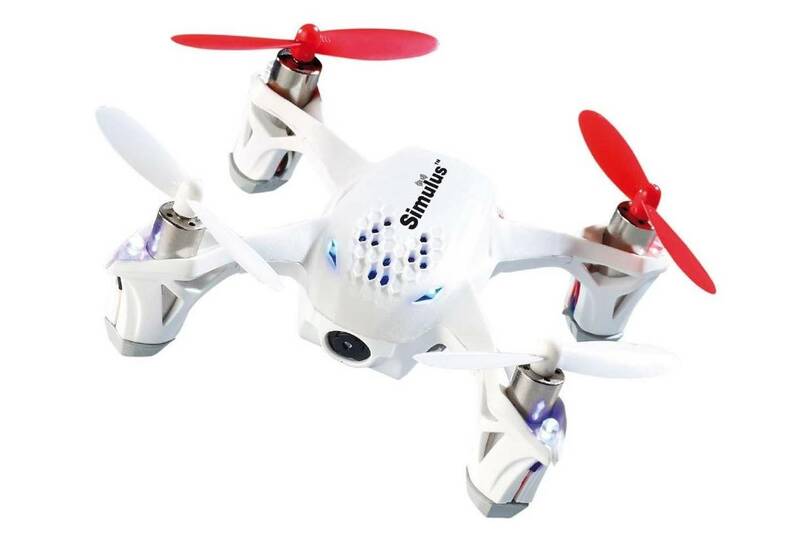 The model Simulus 4-CH quadrocopter GH-4.Liveis sold for example by Pearl for about 180 euros. The integrated camera provides VGA resolution. The recordings can be tracked on the monitor of the remote control as well as stored on a micro SD card. The slot is suitable for cards up to 32 GB and sits in the remote control. You start recording via the remote control. Numerous missiles can be controlled both with the classic radio remote control and via WLAN from the tablet or smartphone. The drone copies the movement of the mobile device. Corresponding devices with WLAN control are eg the AR Drones from Parrot . They are controlled by the free app Arfreeflight . The drone is started by a tap. In this way she stands practically independently in the air. Balancing the drone and adjusting the rotational strength are done automatically. The simple control makes maneuvers like loops easier. A higher battery performance than the basic model offers the Parrot AR Drone 2.0 Elite Edition for 349 euros. A GPS navigation module flies with additional charge of about 100 euros. This way, the device is more stable in the air, able to handle a given flight route and automatically returns to the starting point with a “Home” request. The “pilot” monitors the plane on sight or via video stream on a tablet or smartphone. The data can be viewed in 3D, read out and shared with the Parrot community. The module records up to two hours of video in 720p at 30 frames per second thanks to the integrated flash memory of four GB. The quality of the built-in cameras is often not enough for movie friends. You want to send better photographic equipment on the flight. 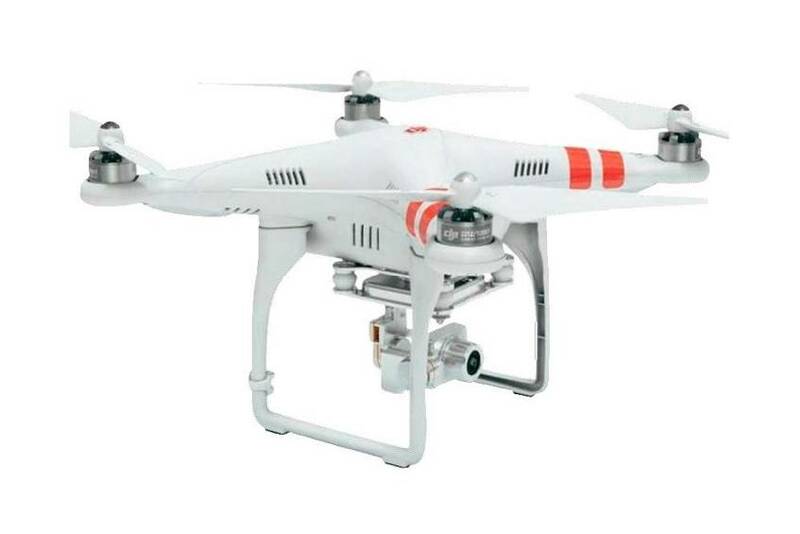 For this you need an aircraft without a built-in camera – for example from the Phantom series from DJI . These drones are equipped with a suspension that can be equipped with professional action cams. The camera below the drone is attached with two brackets that ensure that it does not break when landing. The Phantom models are assembled like the other drones . They are controlled by a remote control. The entry-level model of the Phantom series from DIJ begins is the Phantom FC40 for 439 euros, the top model Phantom 2 Vision + costs 1,069 euros. The unmanned aerial vehicles cause a stir not only for hobby pilots. It offers completely new uses. Amazon , UPS and Deutsche Post DHL believe in the drone as a parcel supplier. They are increasingly exploring this direction. The aim is to open up remote regions or faster reach customers’ urgent products such as medicines. Amazon operates increased effort: As company boss Jeff Bezos announced, is currently the fifth and sixth generation of unmanned missiles tested. Ideally, the package should arrive at the customer half an hour after the order, the service should be Amazon H#t Air. Octocopter with eight propellers and currently about 16 kilometers radius of action are to be used. However, it is not yet known when the service will start. Even in the United States, this could take another five years. And Deutsche Post DHL is also researching drones . The so-called Paketkopter is a mini helicopter, which has already brought a media-effective five-day test phase with some flights some time ago. The Strato Bus is a mix of drone and satellite, developed under French leadership. The task of the flying object is to orbit the earth at a height of about 20 kilometers in the stratosphere and to monitor national borders, for example. It could simultaneously bridge GPS network bottlenecks at peak times. The Strato bus has a length of 70 to 100 meters and a width of 20 to 30 meters. He generates his energy from solar cells and he should stay in operation for five years. At present, drones that can be rented are a project known as “Gofor”. The initiators are guided by the idea that a drone can be provided for every occasion . Unrealistic science fiction? If you want to know quickly whether the supermarket is full, or need a companion in the dark part of the city, call a drone via smartphone . Critics are already seeing a sky full of flying objects. Questions about security and approval are still unresolved. However, if development continues so rapidly, it will not be many years before drones, as flying service providers, do their job. Facebook and Google are also interested in the unmanned drones . The big providers want to bring in this way the Internet in remote regions for which a classic network expansion would be too expensive. Google managed a takeover coup in the spring of 2014: The “search engine” bought Titan Aerospace, a producer of drones from New Mexico, which had moved into the focus of Facebook. The Titan drones are the size of a Boeing 767 and equipped with a solar drive. They are supposed to be traveling at a height of 19 kilometers for five years and have a span of 50 meters. In contrast, Facebook has recruited the British developer Ascenta, who also on dronesworks with solar operation. The companies are in the network construction on flying objects competitors, both of which want to build their own infrastructure. It can certainly take a few more years for something tangible to emerge in this area. The limited mileage of the batteries is a major problem. For virtually any model, it is therefore advisable to buy replacement batteries and keep them ready for each trip. The cost: 15 to 30 euros per battery. The propellers are another weak point: Normally, some replacement propellers already belong to the accessories, but are probably already consumed in the practice phase. Additional copies are not so expensive with a price of less than ten euros for the four-pack. Accessories that extend the range of functions is really expensive. The price for the GPS navigation module Flight Recorder for the Parrot AR Drone 2.0 is 99 Euro. In addition, at least 250 euros are due if you want to equip the phantom series of DIJ with a high-quality camera.